The Government of Canada values the role of post-secondary institutions as they help equip young Canadians with the education and training they need for future careers that will help them join a strong, healthy middle class. Today’s $33.1-million investment at the University of Saskatchewan, the Gabriel Dumont Institute of Native Studies and Applied Research, and Carlton Trail College will do just that by fostering the training needed for the well-paying middle-class jobs of today and tomorrow. The funding was announced today by the Honourable Ralph Goodale, Minister of Public Safety and Emergency Preparedness, on behalf of the Honourable Navdeep Bains, Minister of Innovation, Science and Economic Development, and by Saskatchewan Minister of Advanced Education Scott Moe. The Government of Canada’s Innovation Agenda aims to make this country a global centre for innovation—one that creates jobs, drives growth across all industries and improves the lives of all Canadians. This investment exemplifies that vision in action and will help create the well-paying middle-class jobs of tomorrow. $815,000 for building new infrastructure at the St. Peter’s College campus for biomass production, harvesting and processing, which will act as a model for future green technology projects. The Government of Saskatchewan is providing an additional $250,000 for this project. 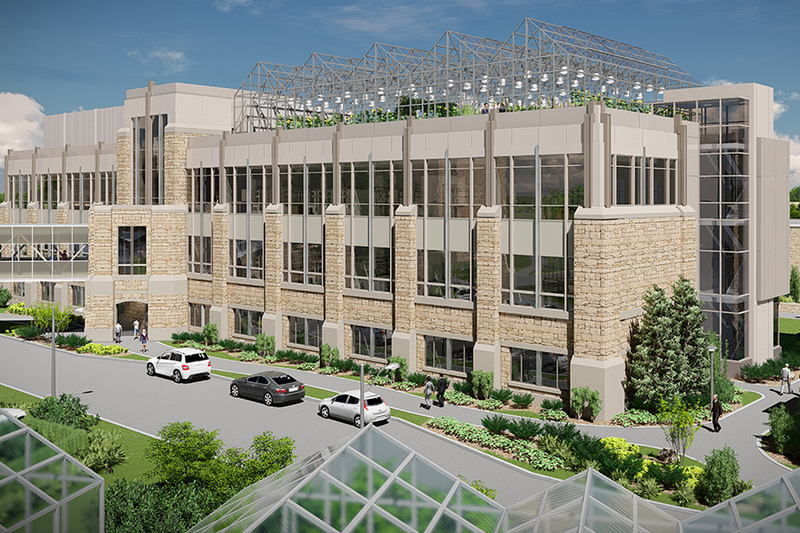 The University of Saskatchewan and its federated college St. Thomas More College are contributing a total of $37.2 million in funding for the Collaborative Science Research Building and the STM project. In addition, the Gabriel Dumont Institute of Native Studies and Applied Research will receive $880,000 for an expansion that will provide additional space for skills training and adult basic education to the community of La Loche. The Institute is providing an additional $100,000 for this project. Carlton Trail College has also been awarded $117,500 for renovations to its Punnichy facility so it can better meet the training needs of students in the area and help them meet future labour-market needs. The Government of Saskatchewan is also providing $117,500 for this project. In total, universities and colleges throughout Saskatchewan will receive close to $137 million from the Government of Canada, the provincial government, the institutions themselves and private donors. Federal funding will be allocated through the Post-Secondary Institutions Strategic Investment Fund, which will enhance and modernize research facilities on Canadian campuses and improve the environmental sustainability of these facilities. As a result of these investments, students, professors and researchers will work in state-of-the-art facilities that advance the country’s best research. They will collaborate in specially designed spaces that support lifelong learning and skills training. They will work in close proximity with partners to turn discoveries into products or services. In the process, they will train for—and create—the high-value, middle-class jobs of the future. And their discoveries will plant the seeds for the next generation of innovators. The Government of Canada is providing more than $63 million for research infrastructure at institutions across Saskatchewan. The University of Saskatchewan has been awarded $32 million for three projects, including one at St.Thomas More College and one at St. Peter’s College. The Gabriel Dumont Institute of Native Studies and Applied Research will receive $880,000, while Carlton Trail College has been awarded $117,500. The Government of Canada’s Innovation Agenda is designed to ensure Canada is globally competitive in promoting research, translating ideas into new products and services, accelerating business growth and propelling entrepreneurs from the start-up phase to international success.